I was recently asked in an interview to share a time I felt God’s separation—His departure from my story. I was unclear whether the context of the question meant God Himself stepping back and rejecting it, or the plague of writers known as writer’s block. Ugh, writer’s block. I’m told that comes from not knowing the characters well enough. I am not a plotter. I rely heavily on God while writing, and God knows my characters and the story He wants me to tell, even when I do not. I stared at the question, not knowing what to say. I have known disappointment when a story I felt close to was rejected by a publisher. I have been saddened by not always achieving the dream for my books I wanted, but I have never known God to leave me or my story. God’s word brings a promise: “God has said, ‘Never will I leave you; never will I forsake you.’ So we say with confidence, ‘the Lord is my helper; I will not be afraid.’” Hebrews 13-5:6. God doesn’t ask us to write any of our stories alone. He will never abandon us and will answer our prayers for clarity of words, for guidance of plot, for wisdom in the spiritual application. Jesus is the only one who can honestly say, “My God, my God, why have you forsaken me?” Matthew 27:46. His presence may seem faint or quiet at times, but it is never absent. He always stays near, sometimes reaching us through a song, a friend or loved one, another book, His Word, or a walk through the woods while we spend time in prayer and mediation. His Word guarantees that we are constantly kept. How do you find God’s voice when He seems quiet? In spite of my best intentions when revising, I often get lost in the story and forget to ask key questions about a scene. Even if the scene is fun to read, I can usually give it more impact by stepping back and asking myself a series of questions. It takes more time to revise this way, but it’s worth it. 2. Is there a clear progression that provides tension, keeping the reader turning the page? This can be done in several ways. A. GMC (goal, motivation, conflict): Sometimes the character will have a scene goal. Show his motivation for obtaining it. Then present conflicts to prevent the character from getting it. As soon as the character either achieves or fails to achieve his goal, end the scene. B. ARD (action, reaction, decision): Another option is to have something happen (action) that the character naturally reacts to. After this reaction, the character decides to do something about it. End the scene as soon as the character makes the decision. C. Sequel. A sequel is a transition between action scenes. This is where the character experiences emotional fallout from the previous scene, reflects on what just happened, and makes a goal-oriented decision forward. If you can’t find a clear scene question in the first three paragraphs, look for a scene goal. If you can’t find a scene goal, try to find an action, reaction, or decision. If these aren’t obvious either, the scene isn’t furthering the plot. This doesn’t necessarily mean you need to cut the scene. Brainstorm ways to add a story question, GMC, or ARD. By taking extra time and asking these questions, you’ll make sure every scene in your novel is not only necessary, but vital. What is your best revising tip? 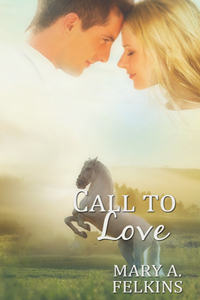 Jill Kemerer writes inspirational romance novels with love, humor, and faith. A full time writer and homemaker, she relies on coffee and chocolate to keep up with her kids’ busy schedules. Besides spoiling her mini-dachshund, Jill adores magazines, M&MS, fluffy animals, and long nature walks. 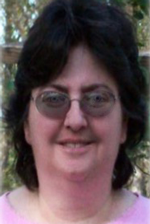 She resides in Ohio with her husband and two children. Jill loves connecting with readers, so please visit her website www.jillkemerer.com and find her on Facebook and Twitter. I attended the 2015 Florida Christian Writers Conference last month. This was my 5th year attending. It’s close to my home, allows me to commute, and fits within my budget. All good reasons to go, right? Learned a lot about the ever-changing face of the crazy world we call “Christian Publishing.” E-books are reaching a plateau (flatlining maybe? ), unless you practically give them away. A year ago, everybody thought e-readers would become little Terminators and take over the publishing world. Now, it appears a simple business model may have actually done what John Conner struggled to accomplish in three movies. Said all that to say this: Nothing is concrete. Nothing is unchangeable. Except God. Book publishers come and go. Contracts get violated. Trends are just that. Trends. Sometimes they devolve into “Fads.” People scramble to catch the next big wave, but most waves only hit the shore and fizzle. Even tsunamis go away eventually. Then, there’s those “Christian” people in the publishing world who sometimes don’t do “Christian” things, like taking the notes of workshop leaders and then hitting the lecture circuit, pretending THEY came up with all that knowledge. Oh, yeah. It’s happened. Or what about publishers and bookstore chains who “go under” or file for bankruptcy? It happens. Some events are just unfortunate. Others may have been prevented if the business model was better. Point is, this crazy world of Christian publishing changes with the proverbial wind. I learned one very valuable lesson this year. It’s a personal one for me. One I cannot elaborate upon in print for the world to see. Too many contractual issues involved, not to mention biblical teachings to follow as well. Suffice it to say, that there comes a time in every writer’s life when he or she has to step down, off the platform, and allow God to speak to him or her off stage. It’s not necessarily that God wasn’t controlling their life or directing them in their journey, and therefore God had to “grab the hook.” It’s more of a season wherein everything was humming along, and then God stepped in and said, “Okay, I have a plan for you, and it’s going to look a little different from this day forward.” I heard several people tell their stories this weekend. The message was eerily similar. Like a “movement” was afoot. Like God was cooking up something special. I, too, fell into that category. It’s not that I’m saying goodbye to writing. Instead, I am saying hello to other doors I had not considered or pursued before. Doors that seem to be open right now because of other ones God has closed. So, what’s a writer to do when the tumult of the publishing world rages? Be still. That’s what you do. In Psalm 46 (NIV), the director of music, of the Sons of Korah says, “He says, ‘Be still, and know that I am God; I will be exalted among the nations, I will be exalted in the earth.” When the oceans rise and thunder roars, when the publishing houses close their doors and sales flit about like a water bug on a pond, be still. “The LORD almighty is with us; the God of Jacob is our fortress” (v. 7). He will guide. Like Moses and the Israelites, when Pharaoh’s army stormed closer, He will be exalted amongst the nations. And He will be exalted in your writing. If you’re still. And allow Him to bring you to the place where His Glory may be shown. For more information on FCWC, go to www.floridacwc.net. For The Washington Post link, click HERE. Last month, I introduced you to Pinterest. Have you checked it out yet? What do you think? Love it or leave it? Today I’ll share some reasons why writers should love it. Lol. Here’s a quick example of the viral effect of Pinterest. 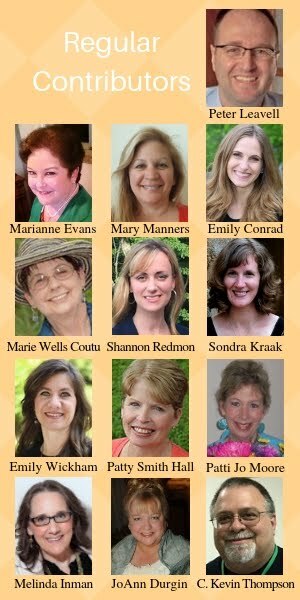 Let’s say my sweet friend and fellow SW hostess, Sandy Ardoin pins several “late eighteenth century” gowns to showcase what her heroines might wear in her historical novels. Actually, take a second and check out this real board. Beautiful gowns, but aren’t you thankful that you don’t have to dress like that now? Let’s say Carla, a collector of vintage gowns and famous fashion designer, stumbles upon Sandy’s board. If Carla appreciates Sandy’s taste in late eighteenth century clothing, she can “follow” the board. Or, if Carla’s only impressed by a particular pin, she can “like” it using the little heart symbol, comment on it, “repin” it to one of her boards, or even “share” it on another social media site. Cool, huh? So Carla repins a gown to one of her boards, and her 20k followers see it in their feed. Also, because Carla’s board is categorized as “women’s fashion,” everybody who searches that category will see the pin. All these people have the same choice as Carla: like, comment, repin, or share. Similar to other social media sites, but more image centric. You probably already knew all that, right? Here’s something you might not know. Pinterest is a popular hangout for females. 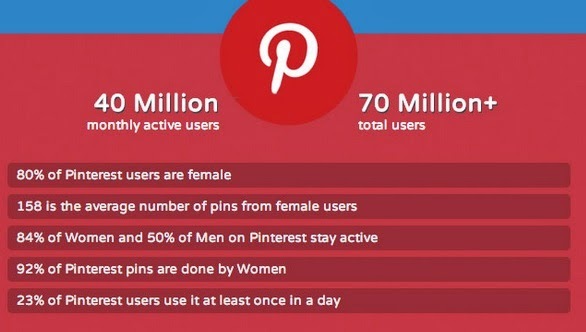 Out of 70 million total Pinterest users, 80% are women and 9 million connect their Pinterest accounts to Facebook*, doubling the value of a pin. Surprising, huh? For those of you on the fence, did Pinterest just become a little more interesting? 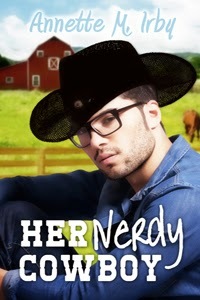 We’re all writers here, and specifically, I’m a romance writer with a target female audience. Seems like Pinterest is a place I should hang out, right? Browsing Pinterest is something I enjoy in the evenings, more like a hobby than actual work, but I also use it as a marketing tool, which we’ll discuss more in length next month. Did you know that Pinterest now offers the option of signing up as a business or converting? When I joined, a business account wasn’t an option (that I recall), so I just converted recently. During the conversion, I was also permitted to add “author” to my account name. That means that every time someone sees one of my pins, they will connect my name as a writer. Also, converting to a business allows you to gather analytics, information such as most “repinned” pins, your audience’s interests, and what businesses they follow, and based on this data, they’ll offer strategic tips to reach more people. If you’re already on Pinterest and would like to convert, the CONVERT HERE option is directly underneath the red JOIN US AS A BUSINESS button. Although I converted, I haven’t uploaded the metatag to verify my website yet. Has anybody tried this already? What do you think? Positives? Negatives? Make sure you stop by next month for Pinterest 101 for Writers, Take 2, and we’ll finish our Pinterest conversation. Until then, did I change your opinion about Pinterest? Any questions? 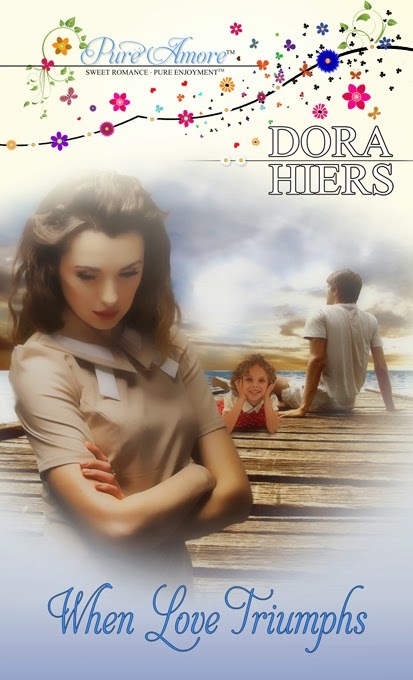 Dora Hiers is a multi-published author of Heart Racing, God-Gracing romances. She’s a member of RWA, and her local chapter, CRW. 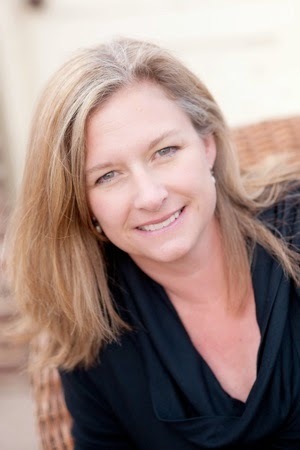 Connect with her on Seriously Write, her personal blog, Twitter, Facebook or Pinterest. Jayme: It’s a bit quirky and most definitely a great procrastinator, but I have an innate need before I work on my manuscripts to straighten my desk, rewrite my to-do list, open the blinds, water the plants, refill my coffee…you get the picture. I like to think of this ritual as my version of a creative dance. However, as much as those activities can wreck havoc on my word count (which if tracked, looks something like a cardiogram), I find those activities are actually my running start, my warm up, so to speak, to dive into the action for which the Creator called us to do—create. If given the chance, I would have loved to ask author and Christian, Madeleine L’Engle what she did before sitting down to write one of her many books. In Walking on Water ~ Reflections on Faith and Art, she fills the pitcher to overflowing with her wisdom about the creative process, and most importantly, its Source. She shares that we are made in our Creator’s image, and thus are created to create. She describes this mysterious relationship— “The artist cannot hold back; it is impossible, because writing, or any other discipline of art, involves participation in suffering, in the ills and the occasional stabbing of joys that come from being part of the human drama.” As writers, it’s wonderful to know that despite how we arrive at the final piece, the journey is never in isolation as much as it can feel that way. Instead, even though throwing ten more balls to my dog and sorting paperclips in my drawer might be part of my choreography to write, I know my purpose is intentional. Ultimately, my true tasks as a writer are to listen, to be aware of the words and stories on my heart, and to finally park myself at the computer and respond to the Creator by creating. How do you prepare for that next creation? Do you have a particular routine you follow while you ponder the story? and love she lost as a young girl when her mother abandoned the family. 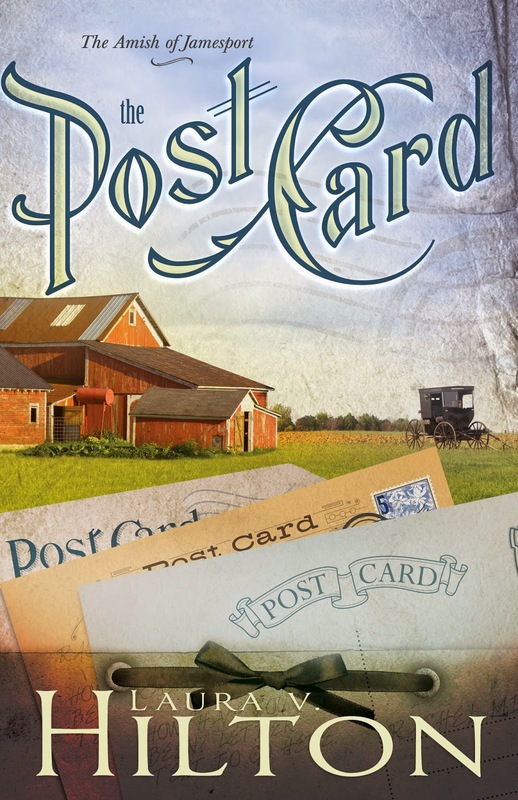 Ella's journey is portrayed through a heartbroken child, a young woman's struggles during the tumultuous times surrounding World War II, and as a reflective adult. Through a series of secret paintings, her art becomes the substitute for lost love, the visual metaphor of her life. But when her paintings are discovered, the intentions of those she loves are revealed. 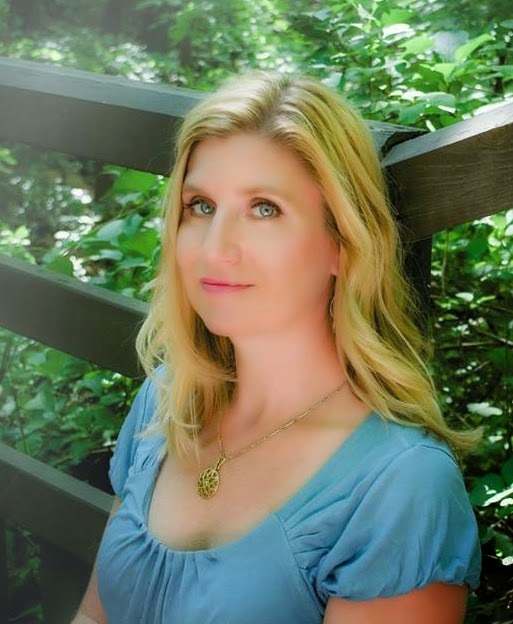 Jayme H. Mansfield is an author, artist, and educator. She provides vivid imagery as she melds her inspiring writing and artistic talents. 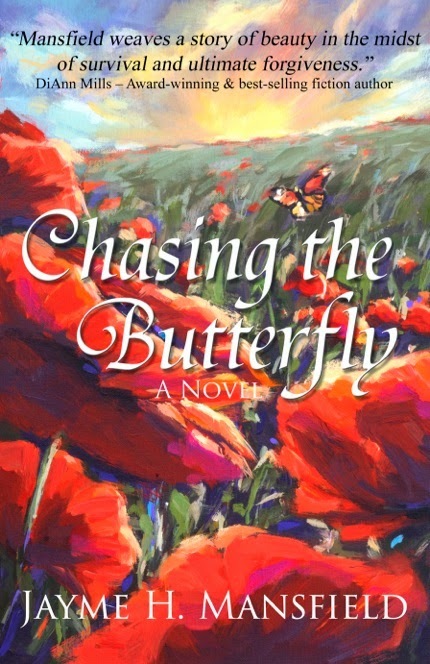 Her debut novel, Chasing the Butterfly, released in October 2014 from Lighthouse Publishing of the Carolinas. Jayme is the owner of Piggy Toes Art Studio in Lakewood, Colorado. After a career in both the business and creative sides of advertising, Jayme received her teaching and Master’s Degree in Elementary Education and Creative Arts. For the past seventeen years, she has shared a passion for literacy and the writing process with her students. She teaches at Aspen Academy in Greenwood Village. Jayme is married to James and has three teenage boys. Recently I’ve been thinking about the Christian fiction industry has changed from the viewpoint of the writer. Ten years ago you could pitch an idea at a conference and get a request for a full, even if you were unpublished. Now, it’s best to have a finished, polished manuscript before you approach an editor or agent. Ten years ago, websites were optional. Five years ago if you had a blog and a few followers, you were doing great. Now it helps to have a presence on all the social platforms, a professional website, and an active blog. If you want to be look professional, you need to have a great product (completed, edited manuscript), but you also need to act professional. This post is long for Seriously Write and there’s lots of links, but don’t be overwhelmed. Just skip down to the sections that apply to you. Let's start with the biggie: should you be a writer? If you’ve been toying with the idea, but just don’t know if you’ve been called to write, take a look at these websites. Although they’re mainly for non-fiction writers and speakers, they can still help you find your genre niche or brand. Before You Decide What You Want to Do With Your Life, Do This First by Jeff Goins. This is all about looking at the way God has guided you through life to help you decide what kind of writer you are. In fact, Jeff Goins’ website is a great resource for anyone who needs a peptalk about career choices. Michael Hyatt’s website focuses on how to become intentional. It’s not just for writers, in fact, if you’re unsure about what to do with your life, Michael Hyatt has some pointers for that, too. Blogging Your Passion University by Jonathan Milligan, again, is for those who are motivational speakers or non-fiction writers, but it’s also great for anyone who wants to build a platform and a tribe. Jonathan’s videos, posts and graphics focuses on integrity and building a successful platform. One more and I’ll stop: Kevin Kaiser and his 1KTrueFans site are all about building a fan base. It’s good for those who are multi-pubbed or pre-pubbed because publishing houses want to know about your influence. Kaiser teaches you how to build that by building community. And speaking of community: writers’ online communities are filled with those who have made the same decision. One of my writer friends told me recently that people who aren’t writers are called, “normals.” Writers need others who speak the same language. 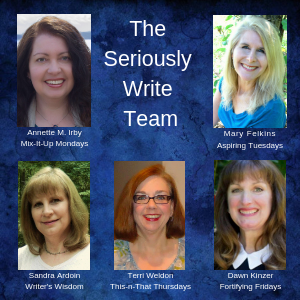 American Christian Fiction Writers (ACFW) – If you write Christian or inspirational fiction and you aren’t a member of ACFW, you need to climb down from your ivory tower and join the land of the living. You’ll find moral support, lots of resources, workshops, classes, and reference information from others who write your genre. In addition to their considerable online presence, ACFW-er’s also have access to local groups and an out-of-this-world conference. My Book Therapy - If you have an idea, but you don’t know how to complete your book, MyBookTherapy is the place to start. Susan May Warren founded this site that has tons of videos and posts to help you write your novel. There’s subscription-based advanced levels, too. They have intensive workshops, mentorships and a terrific community. You can check them all out at the link above. If you want to create a professional website, but just don’t have the funds to hire someone to do it for you, these are the links for you. How to Launch a Self-Hosted Wordpress Blog in 20 Minutes or Less by Michael Hyatt – This post has everything you need to build a website on Wordpress.org (also called a self-hosted website). If you’re starting from scratch, you can do it all from the links in this post. Hyatt's post recommends using Bluehost to set up your website. In fact, they’re running a special until the end of March: $2.95/month for the domain name and the site. That’s about the cheapest paid site I’ve seen. You do have to pay for the whole year when you sign up. Please note: This links to Hyatt’s affiliate site. I don’t receive anything if you sign-up. I just changed my personal website to one self-hosted on Wordpress.org. I like the clean templates and the tools that are available to get my website “out there.” After I created my site on Wordpress.org using Hyatt’s video, I moved my posts – comments and all – from Blogger, using the instructions from this post on WPBeginner.com. You can use their Search bar to find more tutorials, plugins and anything else you need to customize your website. Looking for an inexpensive, start-to-finish course on Wordpress? Here’s one. This link (One Million Lines) is to a free course on how to code. (Scroll down to Start Learning.) If you really want to customize your website on Blogger or either sides of Wordpress, these will help you understand HTML and CSS. W3Schools.com has more free tutorials with lots of code examples to help you add to or customize your website. And if you want a custom font, get it here (free! ): Google Fonts. Just because your funds are skimpy does not mean your website should be! Social networking can be the bane of your existence or the key to your success. There’s Facebook, Twitter, Pinterest, Linkedin, Reddit, Instagram, Tumblr and loads more are being created every day. So how do you decide how much to share, what to post, which to join? There happens to be someone who can help you with all your questions. 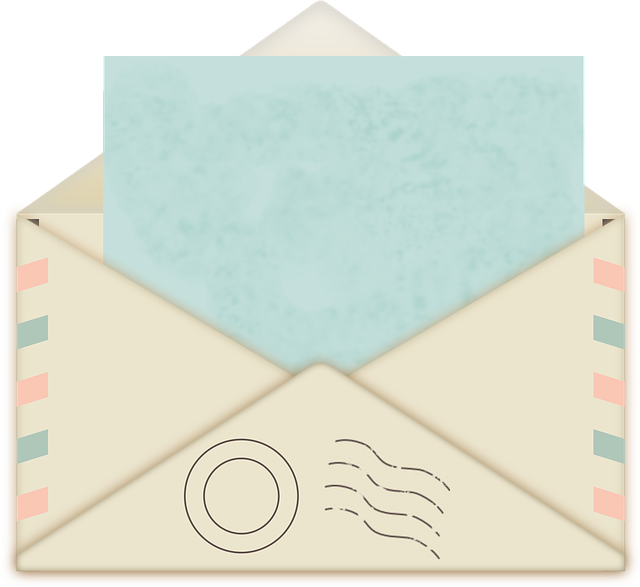 Edie Melson offers Social Media Coaching Services and if you subscribe to her blog, The Write Conversation, you'll get social media hints delivered daily in your inbox. Whew, that was so much information, wasn’t it? I hope it wasn’t overwhelming. I just want you to know that you’re not alone. 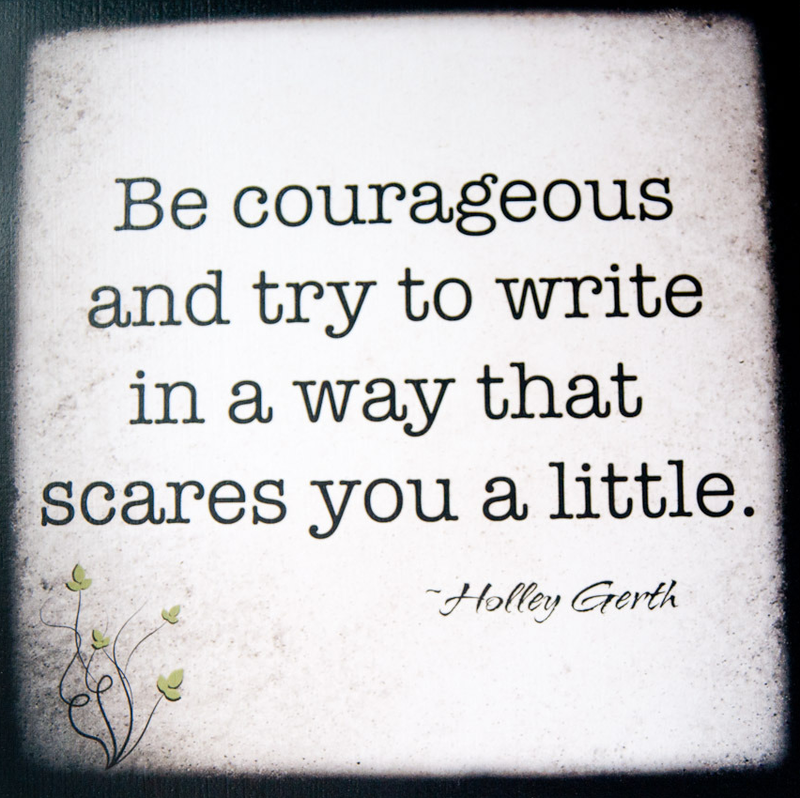 If you’re a writer, we at Seriously Write have come along on that journey with you. Feel free to subscribe or check out the search box in the sidebar to find all kinds of great posts to help you. Were these links helpful? What resources can you recommend? Leave a comment below. We’d love to hear from you.